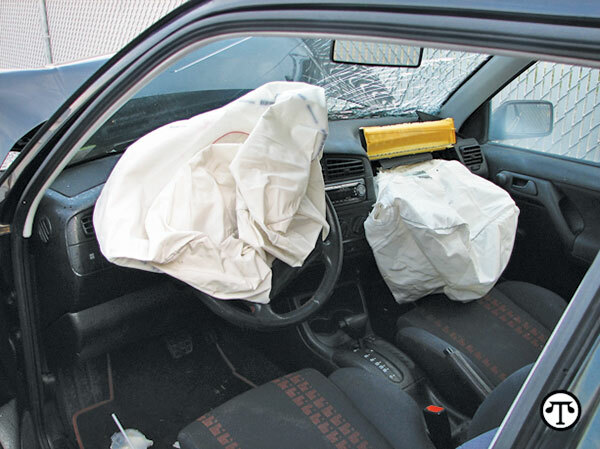 It’s a good idea to check any used car for properly functioning air bags. (NAPS)—The next time you’re thinking of buying a used car, remember, what you don’t see can hurt you. We’re talking about air bags. Be sure they’re present and working properly. As many as 250,000 counterfeit air bags may have been used to replace deployed ones, according to the federal government. But that’s not all. • No air bags at all. Start by simply turning the ignition. If the air bag indicator doesn’t come on at all or stays on, there may be a problem. Also, check Carfax for reported accidents and air bag deployments, and get a mechanic’s inspection. For further facts and reports, visit www.carfax.com.